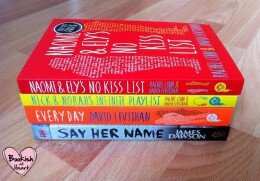 Earlier this week I went to an event at Waterstones Piccadilly which hosted David Levithan and James Dawson, two authors who have written some of the best LGBT* YA fiction available. The event was kicked off with David reading from his popular book, Two Boys Kissing, about two boys who try to break the world record for the longest kiss. David gave us a short background about the book – that it was based on a true story and that it initially started off as a short story. 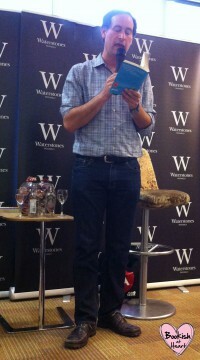 David’s reading was mesmerising, I always find there’s something unique about an author reading from their own book – you hear it being read how they envisaged it being read. James also read his favourite part from the book and it was great to see the obvious emotion that he felt reading the passage. There were some funny moments like when James told us about his teenage crush on Dean Cain, the actor who played Superman in Lois & Clark: The New Adventures of Superman, and how he still finds him attractive (google him and decide for yourself…:D). But there were also some serious moments. James and David spoke about the different experiences of public acceptance and LGBT* culture between different generations. I also agreed with David’s opinion that the internet had both improved and worsened the experience of LGBT* youth nowadays. He believed the internet provided people with a sanctuary but also allowed mistakes, which would have gone unnoticed before, to be broadcast quickly and viciously online. On diversity in YA fiction, David said that “We need diverse authors, we need diverse books. But there doesn’t need to be a direct correlation between the two” – authors should never feel they aren’t “qualified” to write about characters from different backgrounds to them. 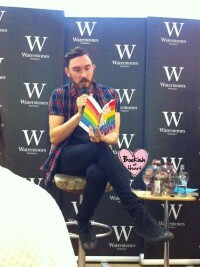 James also read from his hotly anticipated book, This Book is Gay (released 4 September 2014). 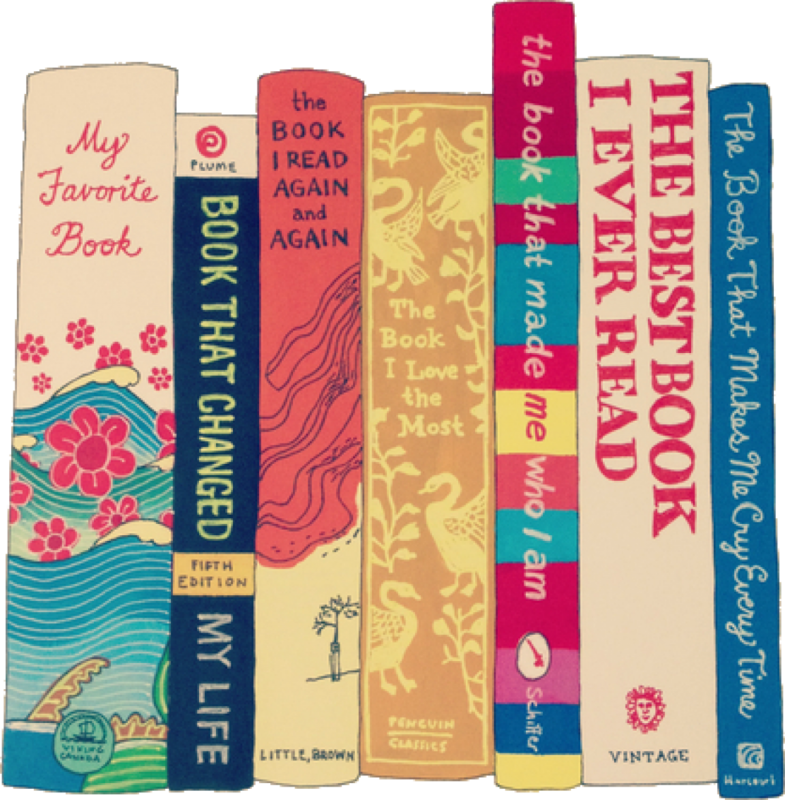 The book is written in a really fun and conversational way making it refreshingly different from your average non-fiction book. He gave us an insight into writing the book and how he’d turned into a nag asking people to share their experiences for the book to strict deadlines. 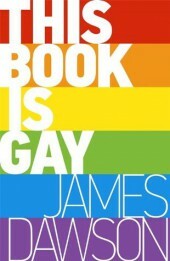 James also joked about releasing a new edition called “This Book is Gayer” which I think would go down really well! David and James finished off the conversation with their current recommended reads. They both agreed that Grasshopper Jungle by Andrew Smith was an absolute must-read and David also recommended The Geography of You and Me by Jennifer E. Smith for fans of his and Rachel Cohn’s book Nick and Norah’s Infinite Playlist. 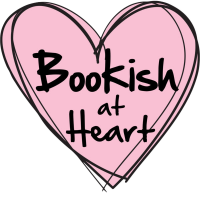 It was a great event and I met some lovely bookish people including one David Levithan fan who had been at Waterstones since 2pm (the event began at 6.30pm!) and had hauled 15 of his books all the way from Somerset! 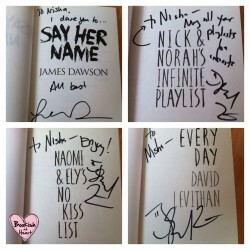 I also managed to get all my books signed and get a photo with David too – bonus!